My first thought after coming across the Pilot Frixion was, “Why have I never heard of this before? 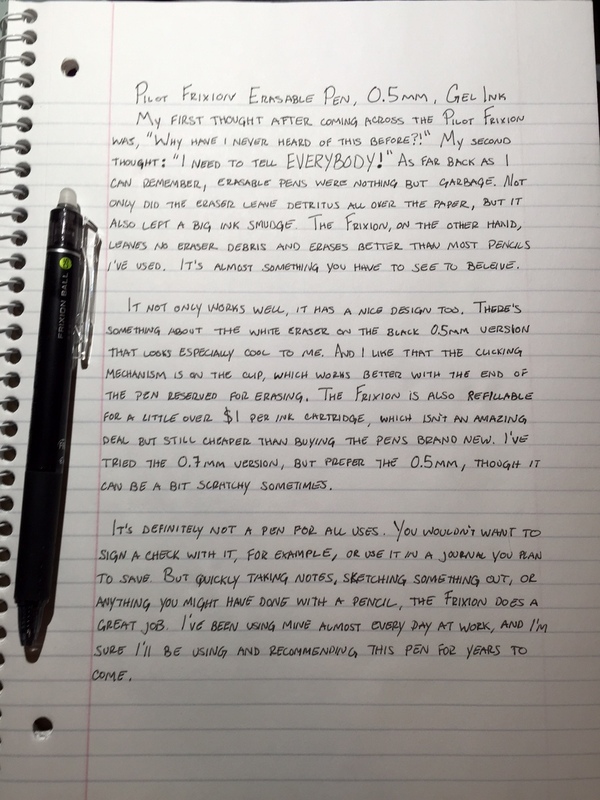 !” My second thought: “I need to tell EVERYBODY!” As far back as I can remember, erasable pens were nothing but garbage. Not only did the eraser leave detritus all over the paper, but it also left a big ink smudge. 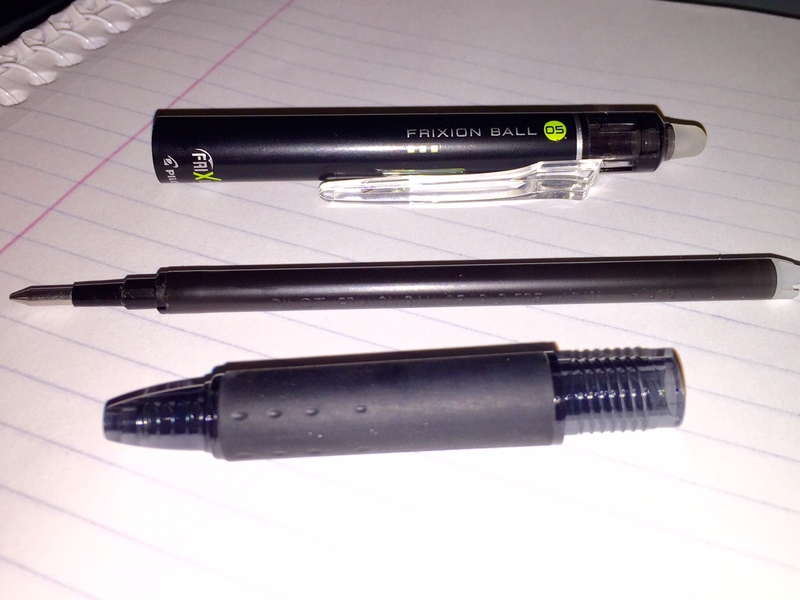 The Frixion, on the other hand, leaves no eraser debris and erases better than even most pencils I’ve used. It’s almost something you have to see to believe. It not only works well, it has a nice design too. There’s something about the white eraser on the black 0.5 mm version that looks especially cool to me. And I like that the clicking mechanism is on the clip, which works better with the end of the pen reserved for erasing. The Frixion is also refillable for a little over $1 per ink cartridge, which isn’t an amazing deal but still cheaper than buying the pens brand new. I’ve tried the 0.7mm version, but prefer the 0.5mm, though it can be a bit scratchy sometimes. It’s definitely not a pen for all uses. You wouldn’t want to sign a check with it, for example, or use it in a journal you plan to save. But quickly taking notes, sketching something out, or anything you might have done with a pencil, the Frixion does a great job. 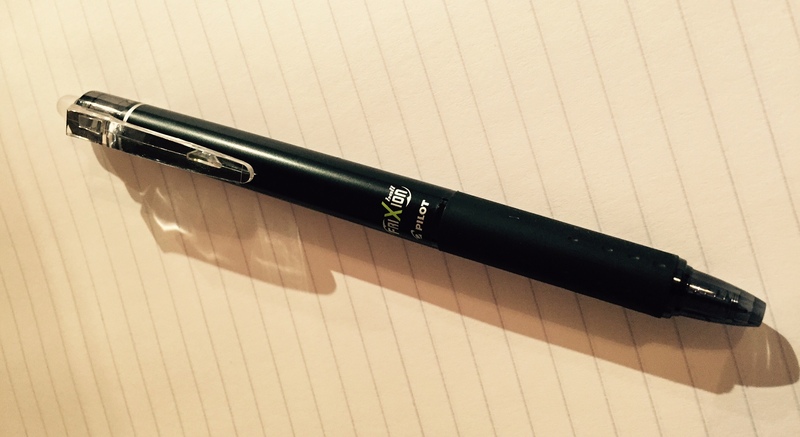 I’ve been using mine almost every day at work, and I’m sure I’ll be using and recommending this pen for years to come. Frixion pens are garbage. The ink sticks stop outputting ink long before they’re empty and the ink is too light to be useful! I couldn’t disagree more. Best erasable plan on the madder, imho.